Professor Schneider is a former Foreign Service Officer with the U.S. Foreign Commercial Service, the branch of the American Foreign Service responsible for international trade and investment, with tours of duty in the American Embassy in Beijing, China, and the American Consulate in St. Petersburg, Russia. His experience in private sector business with China and Japan was with Chindex International, Inc. and Mitsubishi International Corporation. 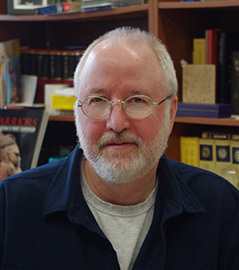 Schneider’s research interests include war and diplomacy in East Asia; religion in international affairs; Chinese religion and philosophy; comparative political philosophy; and Chinese and East Asian civilizations in contemporary international affairs. He is author of Confucian Prophet: Political Thought in Du Fu’s Poetry (752-757), Cambria Press, 2012, and has published on China and East Asia in The Diplomatic Courier, the G20 and G8 summit magazines, American Diplomacy.org, China Business Review, Wikistrat, and The National Interest. * All in comparative perspective with other traditions. Confucian Prophet: Political Thought in Du Fu’s Poetry (752-757), Cambria Press, 2012. "The Poet as Scholar: Essays and Translations in Honor of Jonathan Chaves," Sino-Platonic Papers, Number 272, October 2017. “Clarence Buddington Kelland’s The Cat’s-Paw: An Image of Chinese Culture in 1930s American Politics,” book chapter forthcoming in the second issue of Studies on Chinese Cultural Images Abroad, Central Compilation & Translation Press. “The China Image and Political Reform in Clarence Buddington Kelland’s The Cat’s-Paw (1934) in The Poet as Scholar: Essays and Translations in Honor of Jonathan Chaves, Sino-Platonic Papers, Number 272, October 2017, p. 417-449.
Review of Jonathan Chaves, Every Rock a Universe: The Yellow Mountains and Chinese Travel Writing; Including A Record of Comprehending the Essentials of the Yellow Mountains by Wang Hongdu (Warren, CT: Floating World Editions, 2012), Chinese Literature: Essays, Articles, Reviews 36 (2014), 244-247.
Review of Friedrich Bischoff, San tzu ching Explicated: the Classical Initiation to Classic Chinese Couplet I to XI (Vienna, Austrian Academy of Sciences, 2005), China Review International: Vol. 13, No. 2, Fall 2006, p. 356-363. “China’s New Legalism,” The National Interest, Number 143, May-June 2016, p. 19-25. The Chinese Navy: A Look Ahead, a Wikistrat report, January 2016. “The Coming Clash of Economic Blocs,” Geopolitical Analysis, Insights from the Wiki, Wikistrat, January 21, 2016. “China and the Realities of Power in Asia,” Diplomatic Courier, Winter 2011, Issue 1, Volume 5, p. 40-42. “The G8 Africa Partnership Must Face the Challenge of China,” G8 Deauville, France, May 2011, p. 78-80. “Back to the Future? : China’s Sea of Foreign Exchange Reserves is Not New,” G20 Seoul Summit 2010, November, 2010, p. 58-59. “Iran Sanctions: The View from Beijing,” Diplomatic Courier, Spring 2009, Issue 2, Volume 3, p. 35-37. “The Shanghai Cooperation Organization: A League of Autocracies?,” American Diplomacy, August 2008. By Harry S. Truman, President of the United States,” American Diplomacy, July 2008. "Power Plays" (with Jessica Madoc Jones and Guo Liming), The China Business Review, Volume 20, Number 6, November-December, 1993, p. 20-26. "On Your Mark…" (with Jessica Madoc Jones and Guo Liming), The China Business Review, Volume 20, Number 6, November-December, 1993, p. 34-41.